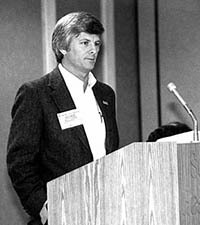 SEMA Hall of Fame - George Elliott, 1990, Argus Publishers. As general manager, George was responsible for the success of Argus Publishers and its flagship magazine, Popular Hot Rodding, and is credited with helping to grow the company to reach more than 20 markets in the U.S. and to launch various television series. 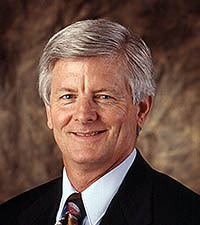 George delved into motorsports television production before opening the Elliott Marketing Group. He was also a respected racer, with first-place finishes in the Baja 1000 and the first-ever Baja 500. 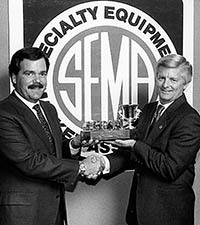 He served on the SEMA Board of Directors and was saluted for his many successes during his term as Chairman of the Board from 1991 to 1994. He was named Man of the Year by the Racers for Christ, and the International Show Car Association awarded him its Founders Award in 1993. George also received the George Hurst Drag Racing Journalism Award. He served as president of the International Hot Rod Association.